Have you ever wanted to be a best-selling author? Well, it’s much easier than you think even if you self-publish. Just a little background on me: I have published more than five books that have hit the best-sellers list, and most recently I shared these strategies with Evan Shellshear, the best-selling author of Innovation Tools. He applied these strategies, and his results were outstanding, his book ranked No. 1 in Australia and had over 4,000 downloads within five days. Shellshear encouraged me to write this blog - so you can thank him for this. So, do you want those results? If so, keep reading! First, if you don’t already know, to be a best-selling author on Amazon.com your book has to be downloaded or purchased more than any other book in your genre and category within an hour. What that means is once your book is released, you will have to check where the book ranks periodically throughout the day. You will never be notified by Amazon, so if you don’t check you will never know if your book has ever ranked on any of the best-sellers lists. 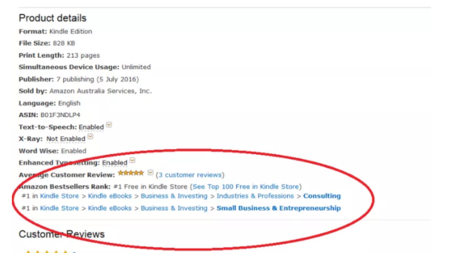 Your book will also rank in the categories you selected when you published it. A little more on that later. Kindle Direct Publishing (KDP) has a program called KDP Select. It will assist in promoting your book and offer your book through its monthly program. To enroll you are required to exclusively publish with KDP Select for 90 days, and within that time period you are offered two ways to get your book even more exposure. One way: For five days it offers you the opportunity to offer your book for free or for a discount with the Kindle Countdown Deal. This is to your greatest advantage because no other online publishing platform offers this kind of promotion. Yes, you heard that right, free promotion is the best promotion. I have seen the results for both, and free promotion gets the best results. People around the world will finally have your book in their hands, which was the goal, to begin with right? Whether someone actually pays for your book or downloads it for free, Amazon.com will still recognize you as a best-selling author. As long as your book is downloaded more, in their eyes, it is still worthy of the title. The focus for them is how many downloads the book receives (my words, not KDP Select). When you first release your book you can do two things. You can discount the book with the KDP Countdown Deal promo offer or price your book at .99, and when marketing it let people know it is for a limited time. Remember, the price does not have to remain there, you can always change it back. But if you want great results, the lower the better. Side note: Everyone judges a book by its cover. I am not sure on why the saying, “don’t judge a book by its cover,” even exists. So it is a must that you invest on a professional cover. If you take a moment and study the best-sellers list, you will notice that most covers have a title that stands out like a billboard. Your title should stretch across the book and be the main focus point. What that means is that your subtitle should not compete with the main title. The title should draw people to want to click and read more. I mentioned earlier that your book will rank in the categories/genre you choose, and some are highly competitive. So how do you choose the right one you ask? One way is by studying other books on the best-sellers list. See what category they are ranking in and choose accordingly. There are somewhere between 600,000 to 1,000,000 books published yearly, so please don’t be coy when writing your book description. Give it special attention like you would a resume. Because you need to stand out like a “1 million” people are after your job, use “sale copy” or consult with a professional, and study your market to see what’s the most-effective approach. 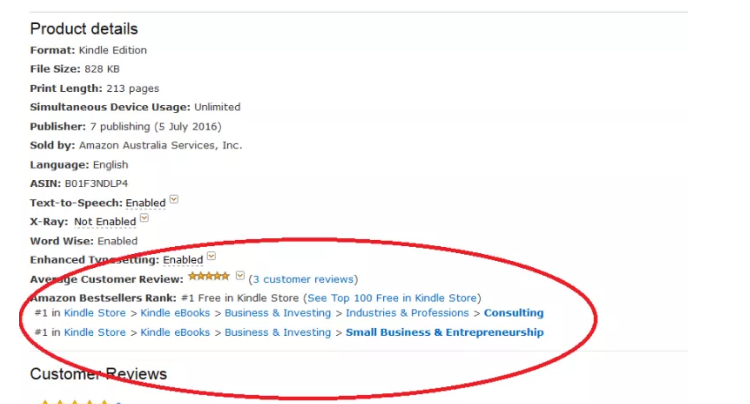 My good friend and mentor best-selling author, Kevin J. Donaldson, shared with me that 50 reviews should be the goal to catapult a book to 200 + paid downloads a day. But when I applied this formula I didn’t get the same results, but I did get positive results: I saw an increase in downloads and rank. I recommend having at least three reviews and/or three endorsement quotes from credible sources before offering your book for free or a discounted price. You really want to maximize the five-day opportunity. Whether you are downloaded or not, KDP Select will help with promotion, so you don’t want to miss out on all the eyes viewing your book because it will be 90 days before you can offer it again. If you don’t want to start from scratch ... go to the people already successful in your field of expertise or the No. 1 best-selling author in your genre that has maybe been on “Oprah” - someone along those lines. Here is one way to reach your target market: Get the Crowdfire app or go to the website, Crowdfire.com. Start using the app to follow the people that have mastered their market on Twitter. Make sure in your description you have a link to your book and the free or discounted promotional details, and, most importantly, tweet about it! Do this before, during and after your book release. I've never heard of Crowdfire, this is neat!